“The story why we developed Revival Masque is that this was my first step in the mission I have to make a skin care product that would be like a “face lift in a bottle”. I know that this is a preposterous idea, but as a dreamer I decided to pursue it.” Dr. Des Fernandes. I first get to know Environ skincare was through the event Aesthetics & Beauty ‘Looking Fabulous & Gorgeous Party’. I’ve tried for weeks and totally amazed by the instant results of radiance looking skin, fine lines visibly reduced and improvement of uneven skin tone. There are 2 ways to use, it can be a wash off mask after leave on for 20 minutes and also a leave on overnight mask. Read on for more details. 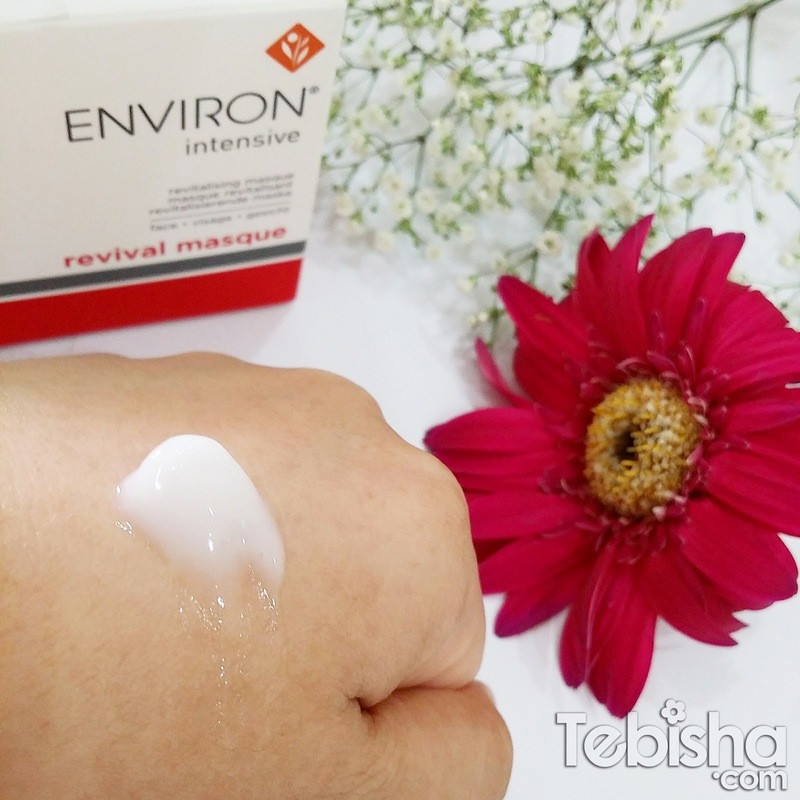 The Environ Intensive Revival Masque has a unique combination of revolutionary ingredients Asiatic, Mandelic and Lactic Acid that make the skin appear more luminous, smoother and revitalized. Assists in visibly improving uneven skin tone, texture and fine lines resulting from the harshful effects of sun and environmental hazards. Asiatic Acid – derived from Centella has been used for centuries in ancient traditional healing and research has proven that it stimulates growth factors in the skin which is important for skin regeneration. Only recently have good reliable concentrations become available compared to the extracts previously available on the market. Lactic Acid – a powerful promoter of the natural hydrating factors in the skin and it is known to ligten uneven skin tone. Mandelic Acid – included for its anti-ageing properties and may assist in improving the appearance of uneven skin tone. In the evening, pre-cleanse, cleanse and tone. Use the spatula to dispense the product into the hand before applying Revival Masque in a thin layer, to the face, neck and décolleté area. *Ensure that spatula is cleaned before and after use and wash your hands after application. Leave on for a minimum of 20 minutes then remove with a damp face cloth or cosmetic sponge and rinse any remnants of the masque with tepid waster followed by your skincare regime. Alternatively, it could be applied as an overnight masque. Firstly apply your normal skincare regime and let it settle for 20 minutes, follow with a thin layer of Revival Masque. Leave on overnight and rinse off the following morning. *May use daily or on alternative days as required. 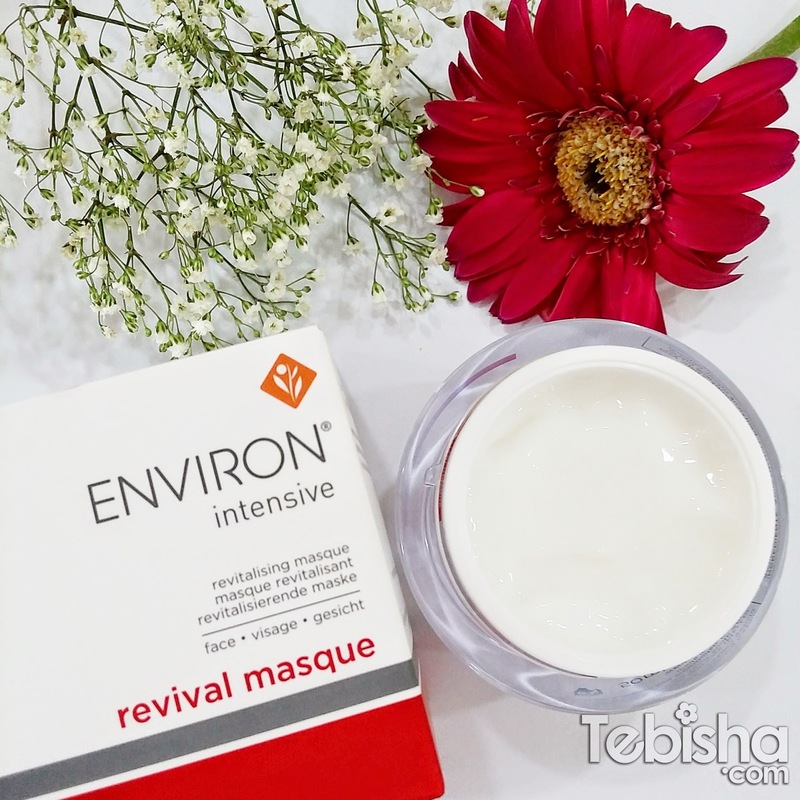 You can see from the above picture, fine lines are greatly reduced, smoother, fairer and brighter skin compared to the area not treated by Revival Masque. Note: For first time users should be used for a minimum of 4 to 6 months for a refreshed and youthful appearance. Recommended to be used during autumn and winter months, but may be used all year round provided a broad spectrum sunscreen is applied daily. Sunburn alert: This product contains Alpha Hydroxy Acid (AHA) that may increase your skin sensitivity to the sun and particularly the possibility of sunburn. Use a sunscreen and limit sun exposure while using this product and for a week afterwards.